For our final two nights in Nicaragua, Terra and I splurged on a treehouse at Aqua Wellness Resort on the coast outside of Playa Gigante. On night one, we had wrapped up happy hour at the waterside restaurant and I ran up to the room to grab my DSLR for the sunset. The ascent included many, many stairs and after several clumsy moves of late, I made sure to keep my eyes on my feet. 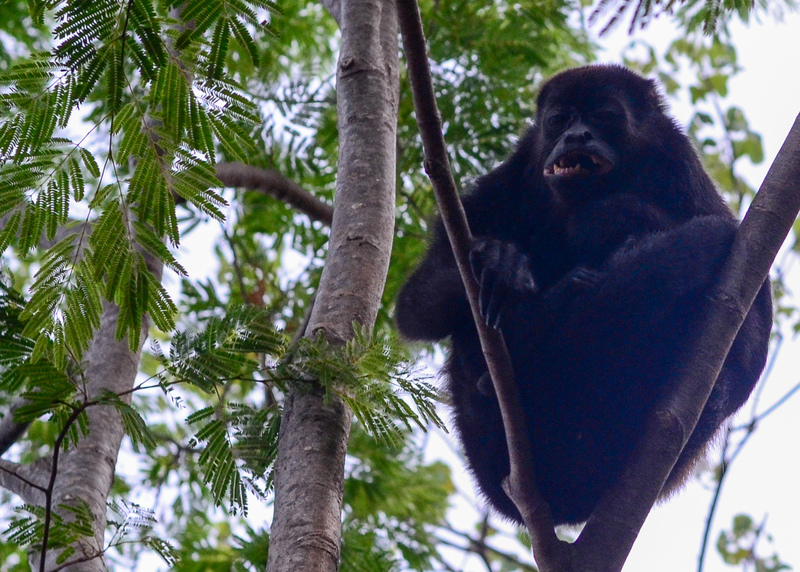 When I reached the top of the final flight, I looked up and was face-to-face with a howler monkey in a small tree next to our door. YES. 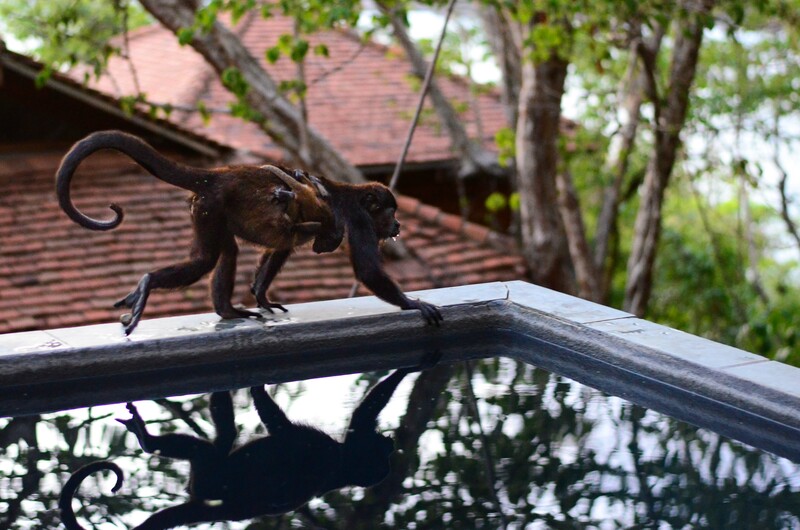 For the next twenty minutes I stood transfixed, looking on as several monkeys meandered around our treehouse– drinking water from the plunge pool (yeah, there was one of those) and moving from tree to rooftop to tree to rooftop. While they didn’t get close enough to touch (I realize they are wild animals, folks, but hey– what I do with my fingers is my business), they were clearly used to humans observing their routine. It was fascinating to see flashes of different personalities, even in the short time that they visited our balcony. First there was this lady who was clearly thirsty and not afraid to dive in and get what she needed. This momma wasn’t alone– she brought her tiny baby down to slurp away from the pool, and kept a greater distance than the others. 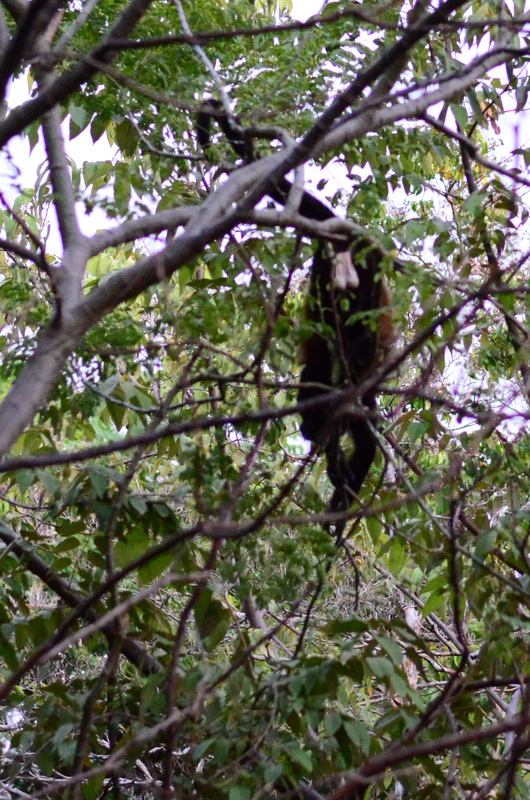 After a few solid hours of howler watching (and talking, and kissy noises– all on my end and not reciprocated), the last monkey cruised off into the jungle. 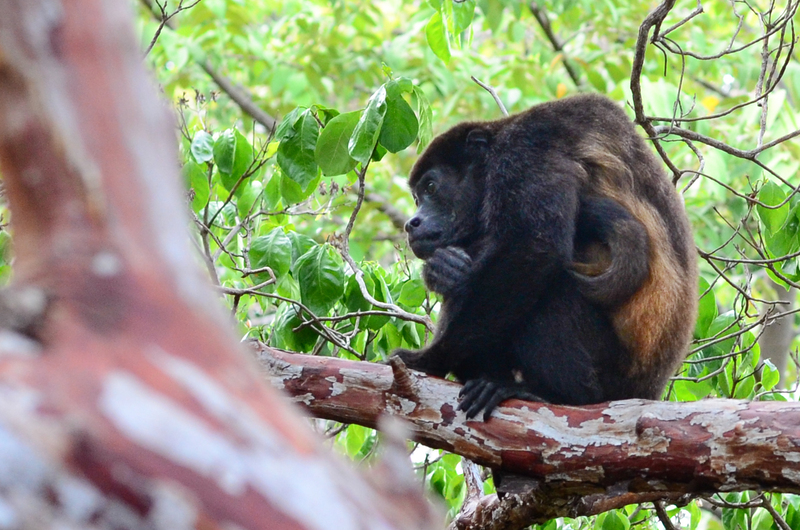 As he walked away… some serious monkey balls. Right there.